14 of the 29 players Philpott has selected are from within the Chiefs region. 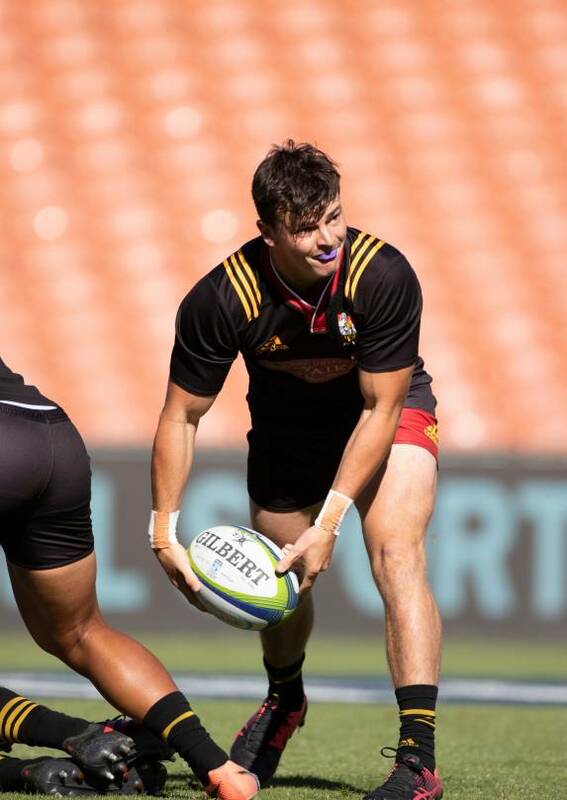 The squad will be charged with competing for the Oceania title that the New Zealand Under 20 team has won four years in a row. Philpott said on the back of a successful camp last month it was a hard task for the coaching group to whittle down the trial group to the 29 players selected. "We always have such a huge pool of talent so it is never easy naming a squad. We are confident that we have selected a group of players that will gel in such a way that gives us the ability to play the style of rugby we are after." With a handful of players returning from last year’s campaign and Mitre 10 Cup experience littered throughout the team, Philpott said the amount of experience within the group is an asset. "It’s definitely a bonus when you have guys with World Championship experience because that’s five Test matches in 19 days, so they understand the importance of a professional approach to preparation and recovery. A number of players out of Mitre 10 Cup have played through a ‘storm week’ so they have some appreciation of that too." Philpott said while the 30 players that head to Australia to defend the Oceania title will form the core of the World Championship squad, the door is not closed for those left behind. "Last year was a perfect example. Injuries dictated that we called seven players into our squad. The message is clear to those players who have missed initial selection; that we need them to be ready when the call comes." Also in contention for World Championships will be those players currently injured and those with Super Rugby duties. Philpott made special mention of the Gallagher Chiefs and Crusaders releasing Etene Nanai-Seturo and Leicester Faingaanuku respectively to be part of the Oceania campaign. While the Oceania tournament is a key piece of preparation for the World Championships, Philpott said there is still a strong performance focus. "We have a few goals, but first and foremost we want to perform well in the black jersey and win that tournament." The New Zealand Under 20 squad will assemble in Auckland later this month before departing for Australia. They have matches against Fiji, Japan and Australia.